You are wondering how to finance your local climate and mobility plans? You are looking for an opportunity to get in touch with banks and investors to help you fund local energy and smart city projects? The European Innovation Partnership on Smart Cities and Communities matchmaking platform will help you do just that! Together with financial players and experts, you will have the opportunity to discuss practical issues your city is facing in developing energy projects, and to find adequate support and funding. An event dedicated to this matchmaking tool will take on 9 October 2018 (tbc) - during the European Week of Regions and Cities, in Brussels. You can sign up for this support at eu-smartcities.eu/matchmaking, or by emailing matchmaking@eu-smartcities.eu. 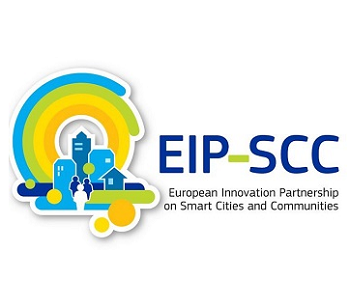 This initiative is supported by the European Innovation Partnership on Smart Cities and Communities Marketplace (EIP-SCC Marketplace) and the Covenant of Mayors - Europe, in the shared belief that bringing public and private actors together will generate opportunities for cooperation, innovation and investment in smart and sustainable solutions. ● discussing the opportunities to finance projects with investors/financiers.